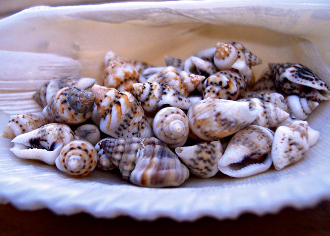 Fairy Sized Conch Shells (10 oz Jar) For Miniature Gardens. Each Conch shell is approx .75" long. Natural sea item - each item is created by God and will vary by each individual dollar. Some fragments may be included.